Customers of Wellington Centre complete surveys rating our services, cleanliness, professionalism and many other attributes. Our big, orange beacon of storage in Wellington can be seen from the motorway and even from aircrafts approaching and departing the airport. Yes, you know the one! 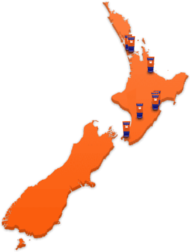 The Wellington storage centre is just 1.8 km from the Wellington GPO and inside you will find six levels of high quality self storage units with generous, clean, bright corridors which are proudly cared for by our dedicated Wellington Storage team. Our Wellington storage facility is extra special as it has multiple access points to the storage units and undercover loading areas to protect you from the Wellington weather. We also provide safe vehicle storage, be it boat storage, car storage, bike storage, RV storage or more ­ have a look at the list below for other options. 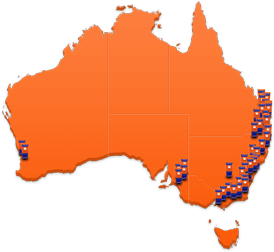 Our whole storage facility in Wellington is enclosed by fencing to ensure maximum security. We’ve placed 32 surveillance cameras throughout the storage centre. With computer controlled access to the Wellington storage ceneer by P.I.N. code so that no one enters or exits without authorisation. We have Security Lighting placed throughout the Centre. With no credit card surcharge when you pay using credit card. We refund all unsed rent if you decide to move out early. If you pay for your storage unit in advance for 6 or 12 months we'll give you a 5% discount. Wellington, Thorndon, Wilton, Karori, Kelburn, Te Aro, Oriental Bay, Brooklyn, Newtown, Mt Cook, Mornington, Wadestown, Khandallah, Broadmeadows, Ngaio, Crofton Downs and Johnsville. 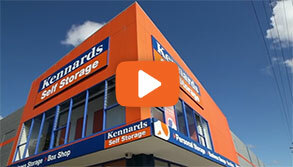 Why choose Kennards Self Storage at Wellington? We are the cleanest, friendliest and most efficient storage facility in Wellington. If you don’t believe us, why not pop in for an inspection. Undercover loading and unloading area to protect you and your precious things from the elements. 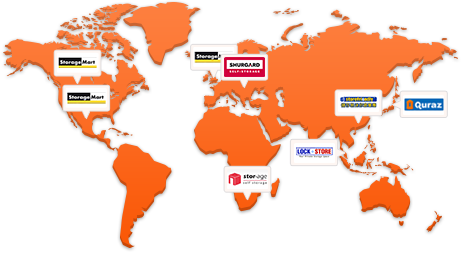 24/7 access to your storage unit for complete freedom! Free use of trolleys: flatbed, fridge and mattress, to make your life easier. Drop your stuff off and insure it with us in one go. Complimentary tea & coffee for weary movers. Free Internet Hotspot for all your business needs. The climate achieved in the wine cellar is ideal for wine with temperature / humidity averaging 14 degrees and 70% with daily checks to ensure we maintain this environment. Kennards has expanded its very popular business storage solution known as Enterprise Spaces at its Wellington storage centre. Kamil Lakshman a Wellington Lawyer has launched an appeal for goods to be donated and shipped to Fiji to help the residents that have been affected.